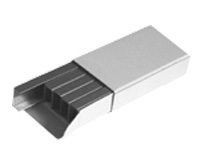 Canon 0248A001AA Type A1, 3 boxes, Compatible copier staples designed to work with Canon AUTO STAPLER FOLDER A1, BOOKLET FINISHER A1/ B1/ G1, C180II, C 300/ 400d, GP 30F/ 55/ 55F, NP 1820/ 2020/ 3030/ 3050/ 4050/ 4080/ 6025/ 6030/ 6035/ 6035F/ 6060/ 6080/ 6150/ 6221/ 6230/ 6650/ 8530 copiers. Canon 0250A002AA (F23-2930-000) Type D2, 3 boxes, Compatible Copier Staples designed to work with Canon BOOKLET FINISHER D1/ D2/ D3/ P1, C160/ C180II/ C200D/ C250D/ C300/ C330D, Finisher AE1/ C1/ G1/ T2, GP200/ GP200D/ GP200E/ GP200F/ GP200S/ GP215/ GP30F/ GP55/ GP55F, ImageCLASS 4000/4000E/ 4000ED, ImageRUNNER 200L/ 210/ 210E/ 210N/ 210S/ 3025/ 3025N/ 3030/ 3035/ 3035N/ 3045/ 3045N/ 330/ 400/ 5050/ 5055/ 5065/ 5075/ 550/ 600/ 8500/ 9070/4025/ ADVANCE 4035/ ADVANCE 4045/ ADVANCE 4051/ ADVANCE 6055/ ADVANCE 6065/ ADVANCE 6075/ ADVANCE C7065, C2050/ C2880/ C2880i/ C3100/ C3100N/ C3170/ C3170F/ C3170i/ C3170U/ C3200/ C3220/ C3380/ C3380i/ C4080/ C4080i/ C4580/ C4580i/ C5180/ C5180i/ C6800, MOTB1, NP 1820/ 2020/ 2120/ 3030/ 3050/ 6016/ 6025/ 6030/ 6035/ 6035 F/ 6221/ 6230/ 6330/ 6521, SADDLE FINISHER AC2/ AD2/ C2/ D2/ F2/ H2/ K3/ K3N/ N2/ Q2/ R2/ , SORTER N1 copiers. 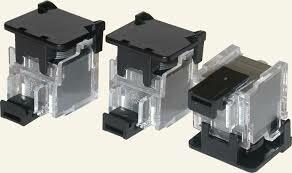 Kyocera-Mita 78882010, 3 boxes, Compatible copier staples designed to work with Kyocera Mita AS S5120/ S8020/ S8120/ 4020/ 7020A copiers. New Xerox 8R7906 (008R07906) Type B1, 5 boxes, Compatible Copier Staples designed to work with Xerox XC 23/ 33, XDL 23/ 33/ 33D copiers. Copiers using the 10 Bin Sorters. C4791A Compatible Copier Staples, 3 boxes, designed to work with HP Color LaserJet 4700/ 4730, LaserJet 8100/ 9000/ 9040/ 9500MFP/ M4345/ M5025 MFP/ M5035/ Mopier 320 Series printers.